Ilda is a doctoral researcher investigating the emergence and growth of the alt-right movement in the United Kingdom. As part of her ongoing studies, she has explored those such as Generation Identity and Turning Point UK. Contributing new knowledge about the alt-right outside the geographical and political constraints of North America, her research is currently exploring the rhetorical reach of such groups into new and increasingly diverse audiences and constituencies. 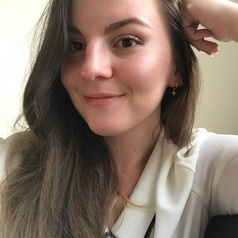 Graduating from the University of Toronto in 2017, with a BA (Hons) in Criminology and History, Ilda was subsequently awarded an MSc (Distinction) in Criminology in Practice in 2018. At the time, her dissertation explored the availability and impact of equality and diversity, and hate crime training, for police officers and staff in England. On commencing her doctoral studies at Leicester, she was awarded the prestigious University of Leicester International Postgraduate Research Excellence Scholarship. Ilda also currently works as a Research Assistant at the Centre for Hate Studies.